Connecting the laptops, computers, mobile devices and other IoT devices to the home internet network means exposing them to the wild cloud, the wild internet. The IoT devices might access ransom ware, malware or viruses that could destroy the systems to shutdown. So that’s why such kind of internet protection system is required to block those threads, Roqos comes for that purpose. Roqos Core is a home wifi VPN router to provide enterprise class cyber security and parental control you can connect to your home cable modem or any types of modem gateway. It’s like similar product with Bitdefender Box or Cujo firewall. Roqos Core is not like wireless router in general, it thoroughly examines the inbound traffic from the internet and to assure they are free from any kinds of malware, ransom ware, and any types of viruses to get through your home IoT devices. no worries of the update, the system will update automatically when the system is online. Roqos Core is designed with Open Source software to work like hardware base Intrusion Prevention System (IPS) with deep packet inspection technology powered by Intel Atom Quad core 64-bit processor at 1.9GHz clock speed with 2GB memory and 8GB storage. 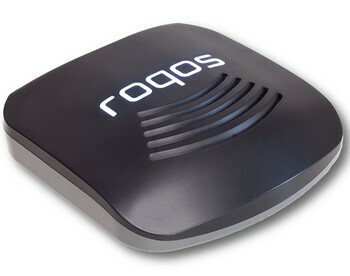 Unlike Cujo that works like an intermediate gateway to the internet, Roqos Core works like wireless router to allow clients connect to Roqos to access the internet network. And Roqos perform the IPS processing within the device system. On the other hand Cujo sends packet header data to the cloud for analyzing to assure the traffic is free from any internet thread. Roqos Core delivers simultaneous dual band network based on 3×3 wireless AC @5Ghz band speed up to 1300Mbps and 2×2 wireless N network @2.4Ghz band with speed up to 300Mbps for total aggregated bandwidth up to 1600Mbps. With Roqos core you can add wireless Access Point devices, wifi range extender or any model of mesh devices for further coverage. Cujo is not as flexible as Roqos, it is not compatible with Luma, and does not support Google Mesh system. Roqos Core is a powerful hardware for wireless router with built-in IPS with deep packet inspection technology to assure your IoT devices get the powerful internet thread protections. Roqos update the firmware automatically to stay up to date system. To learn more spec detail click the link below for more description, current price and rating in Amazon. To extend your wireless network outdoor you may consider EnGenius Ens500ext wireless outdoor ac access point. Or for small businesses, you may also consider hardware based wireless controller for TP-link CAP1750 wireless ac access point. Want to taste mesh wifi system – add Netgear Nighthawk X6s wifi mesh extender to extend the wireless coverage to the dead zones.